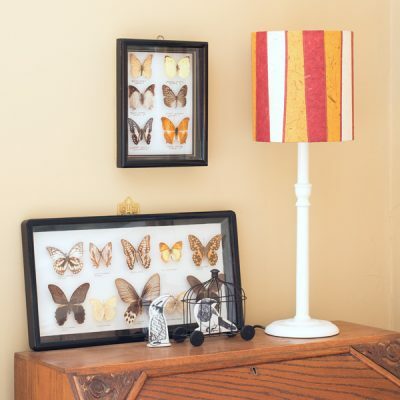 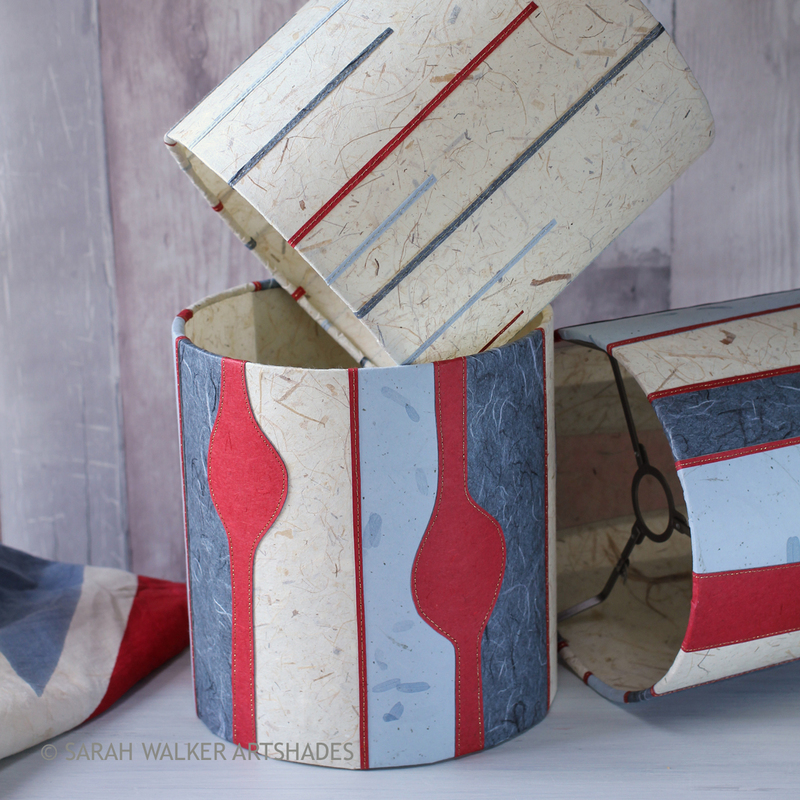 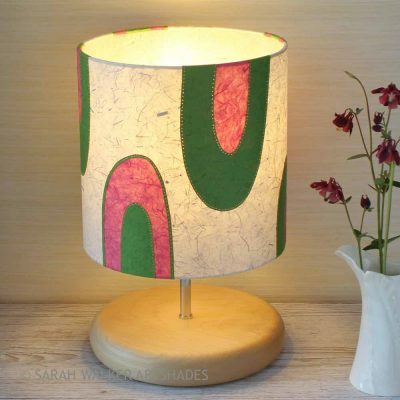 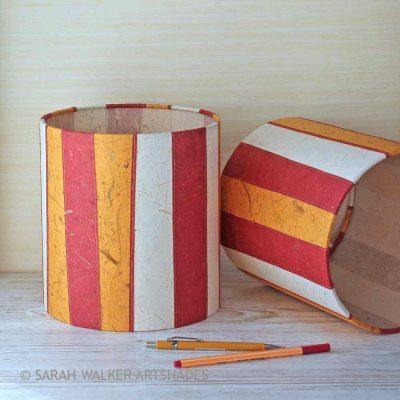 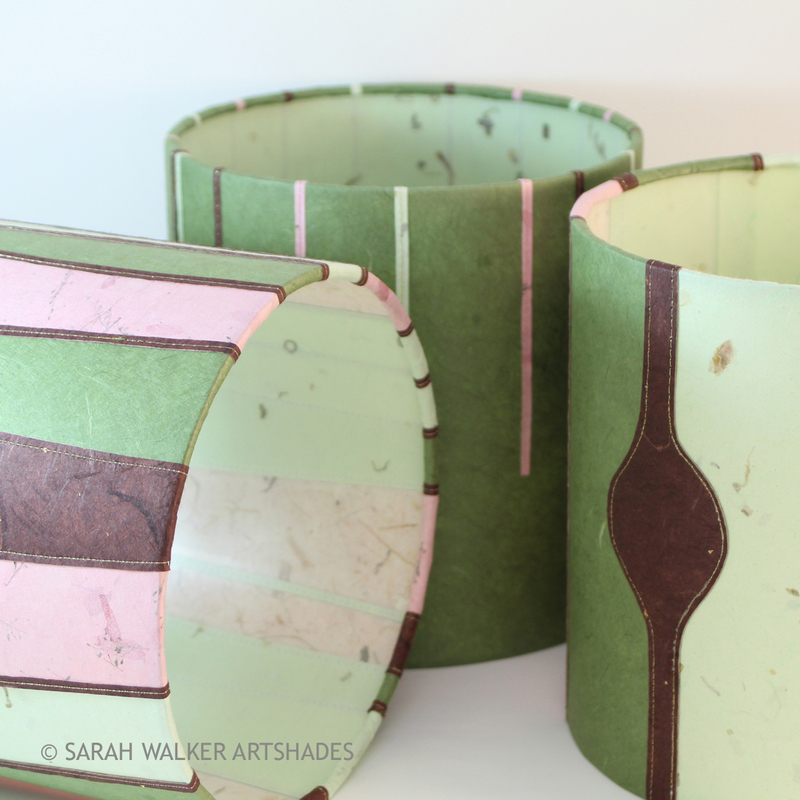 All of these colourful appliquéd drum shades can be made in a size to complement your own table lamp base, be it an antique brass candlestick, a piece of retro studio pottery, a turned wooden base or a contemporary glass one. 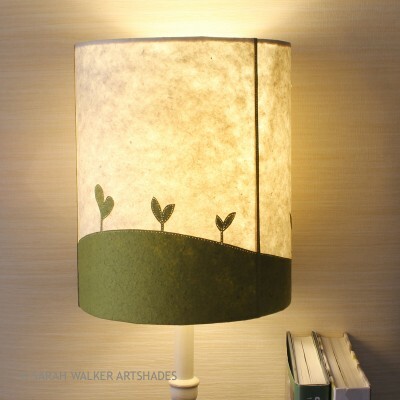 Feel free to email me a photo of your lampbase with dimensions for advice. 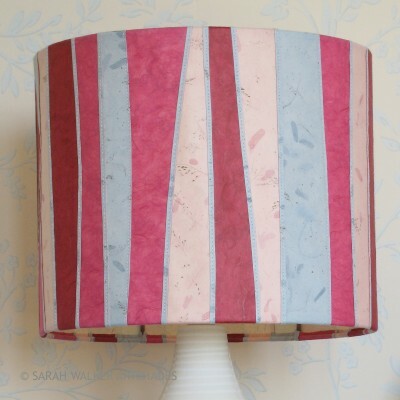 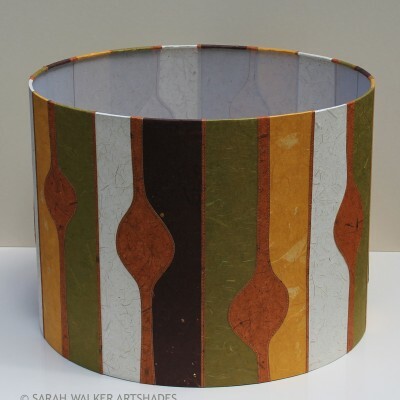 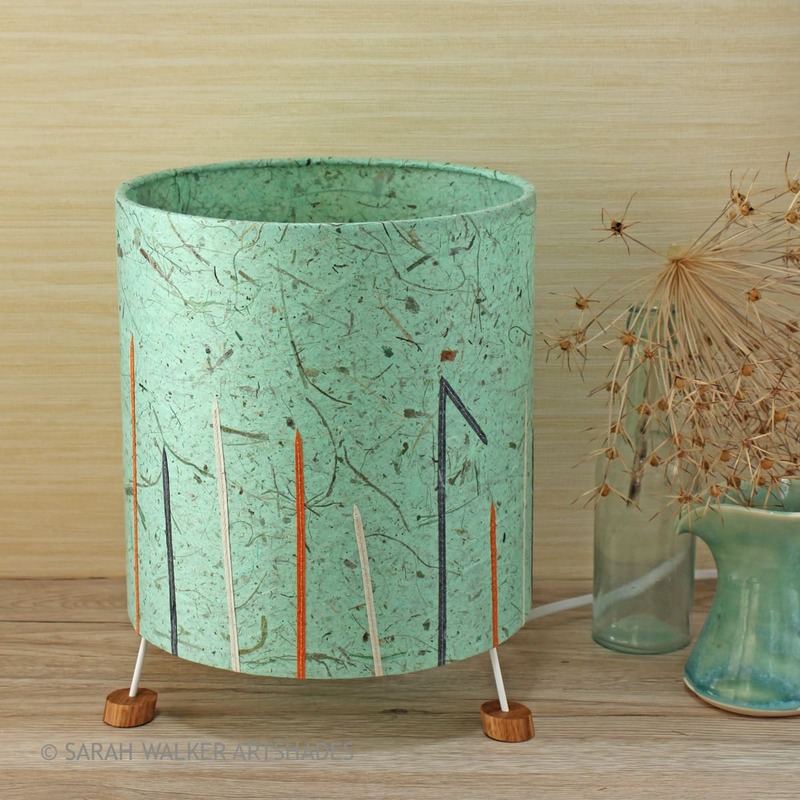 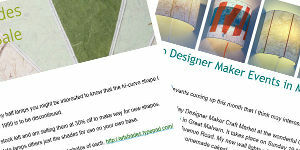 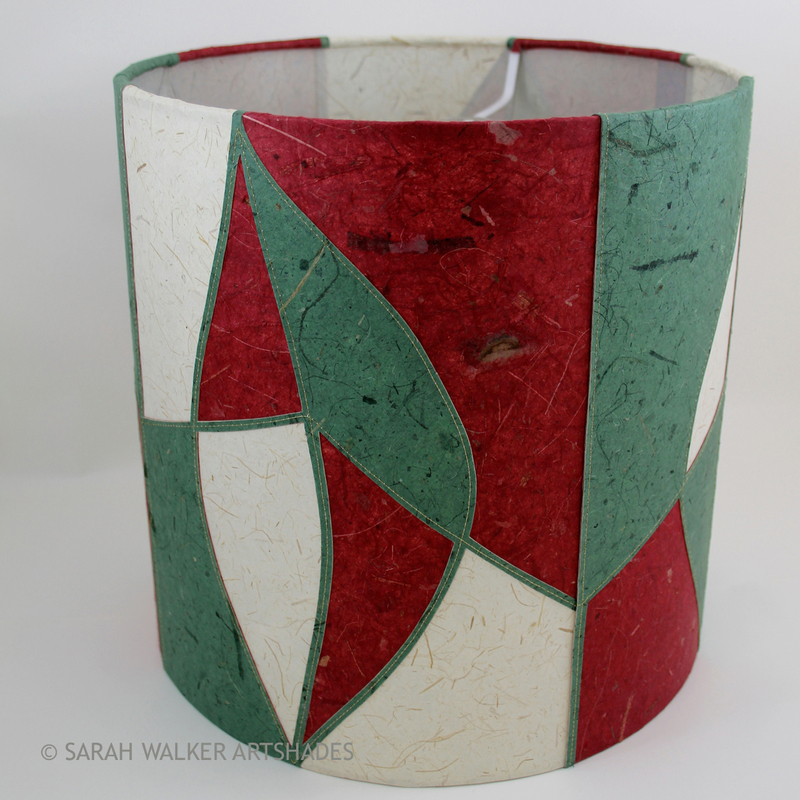 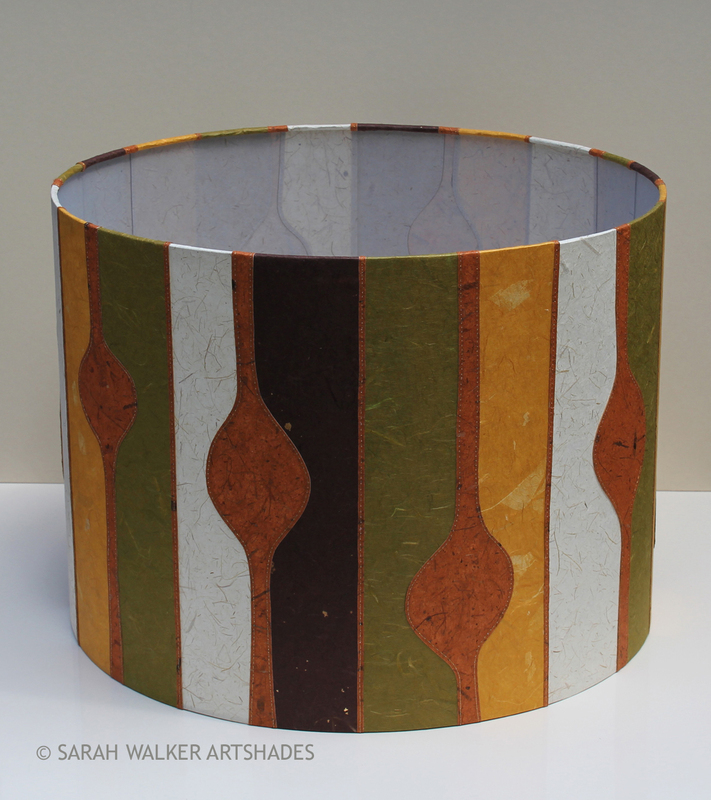 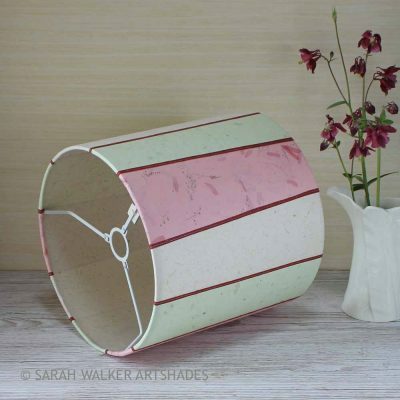 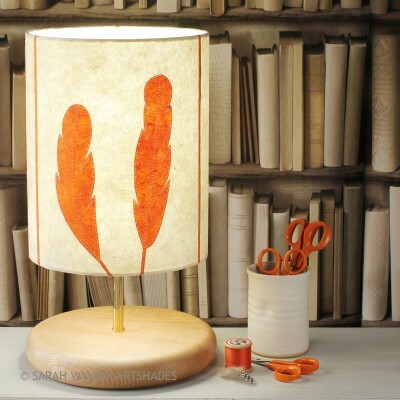 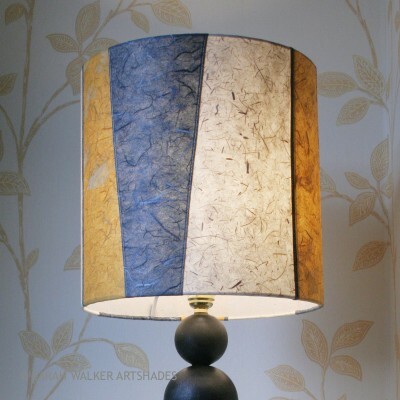 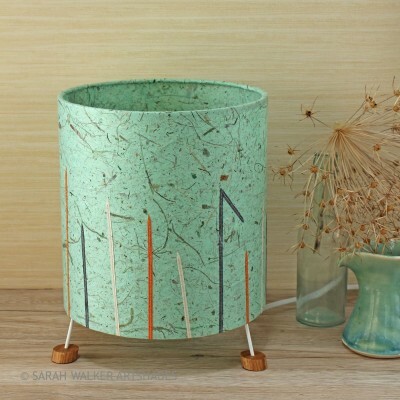 From £80 for a custom-made 20cm diameter lampshade. 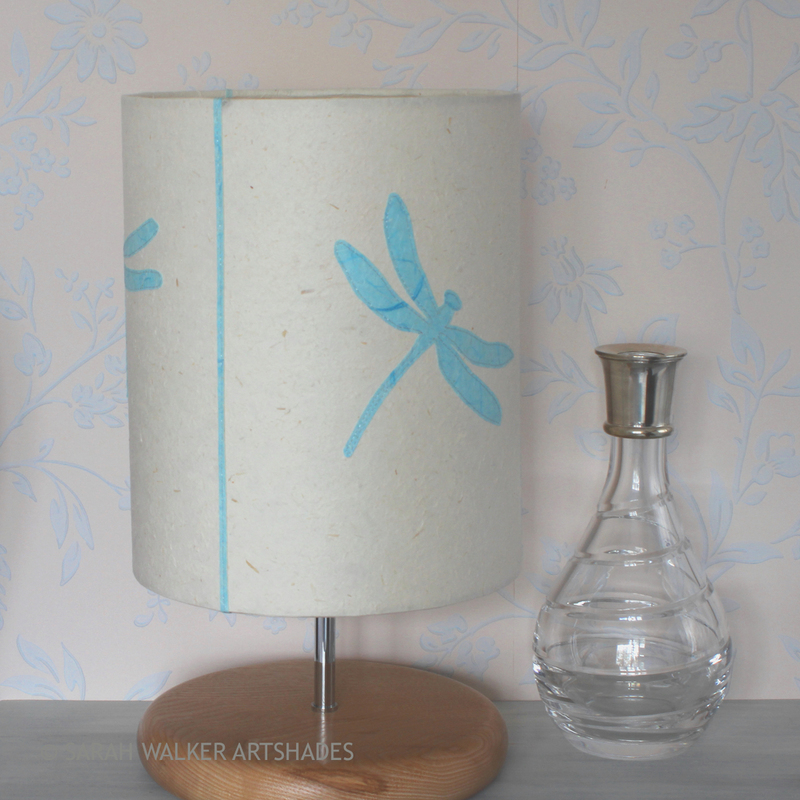 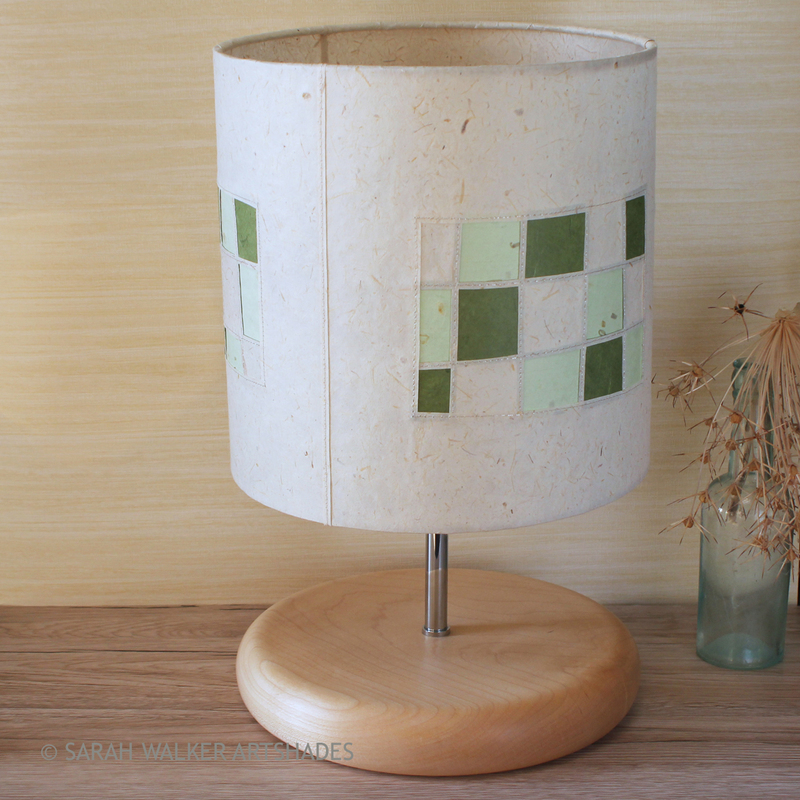 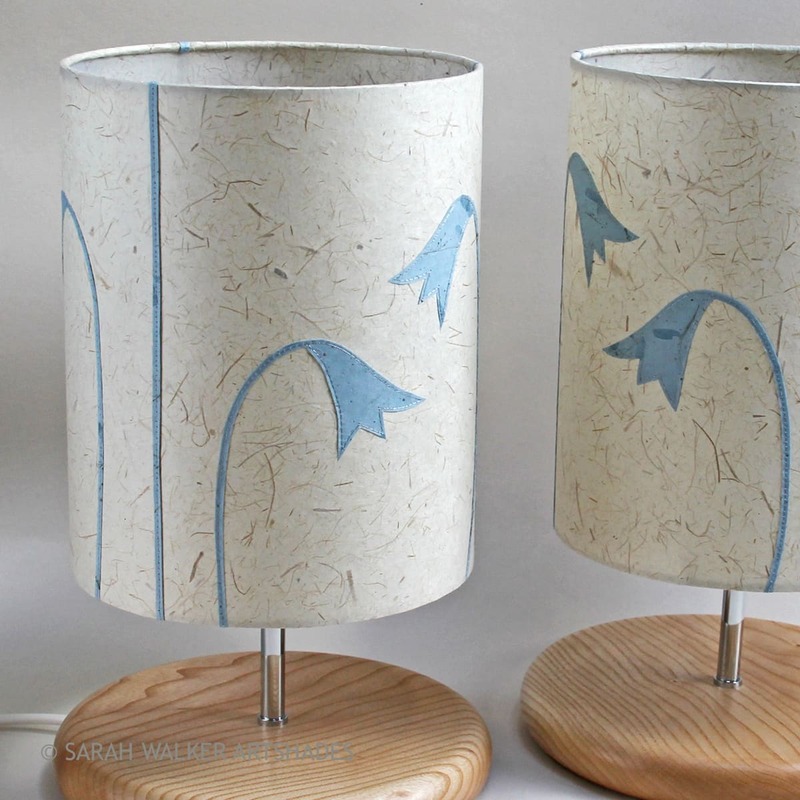 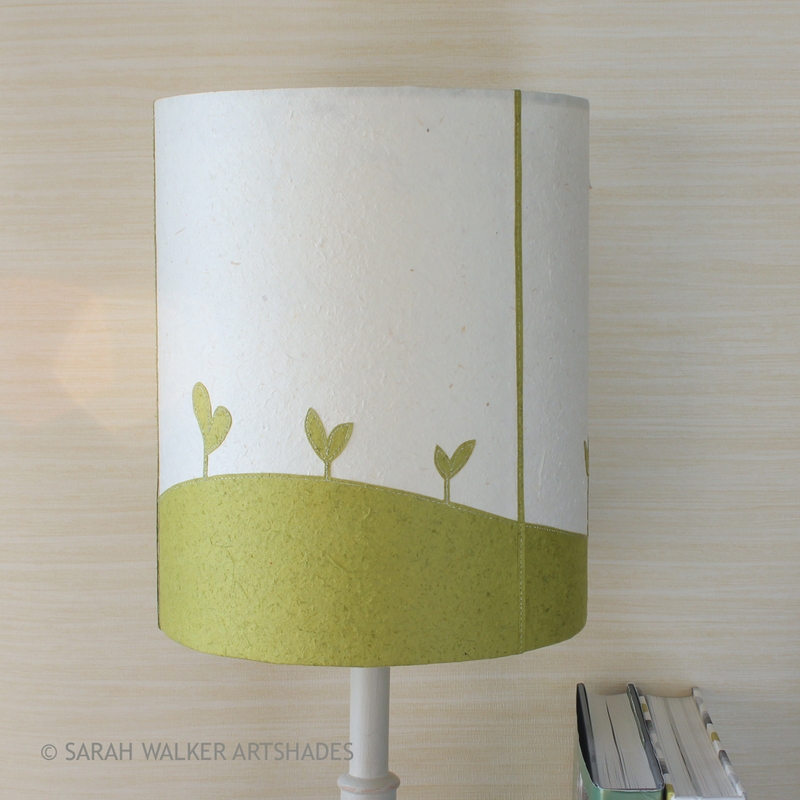 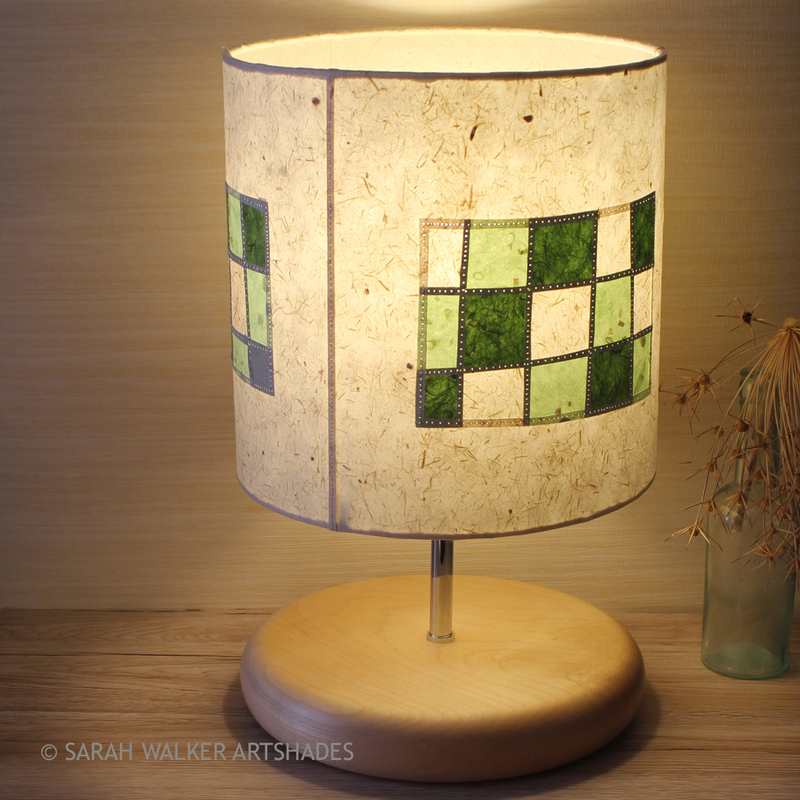 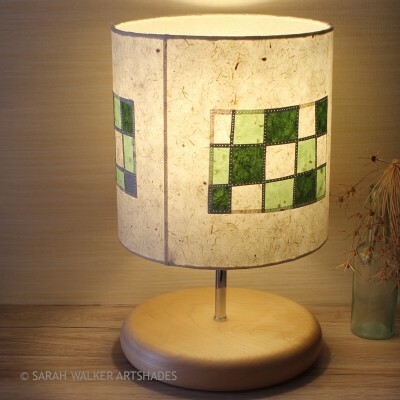 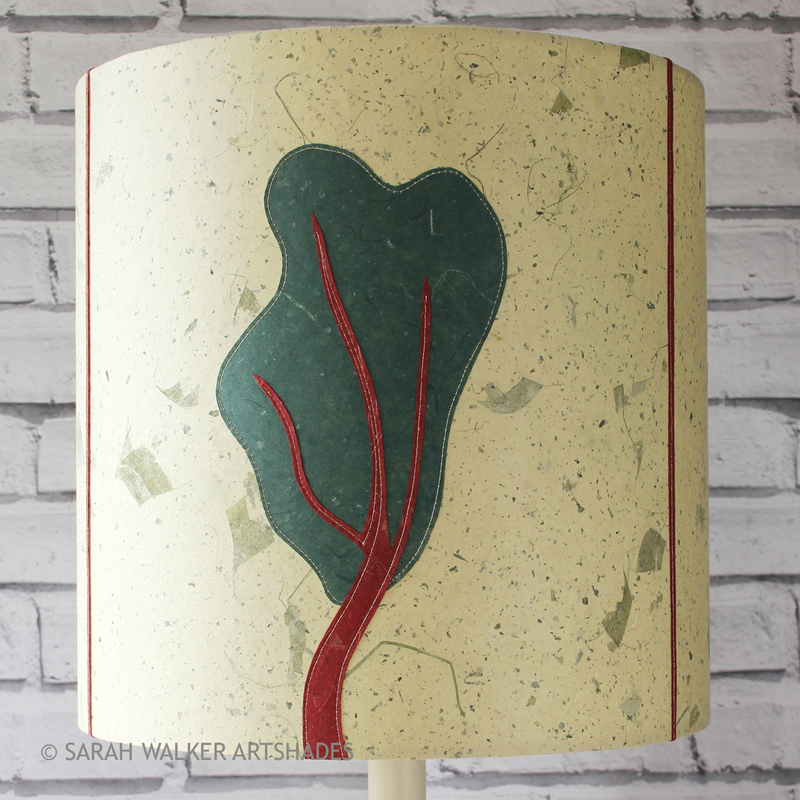 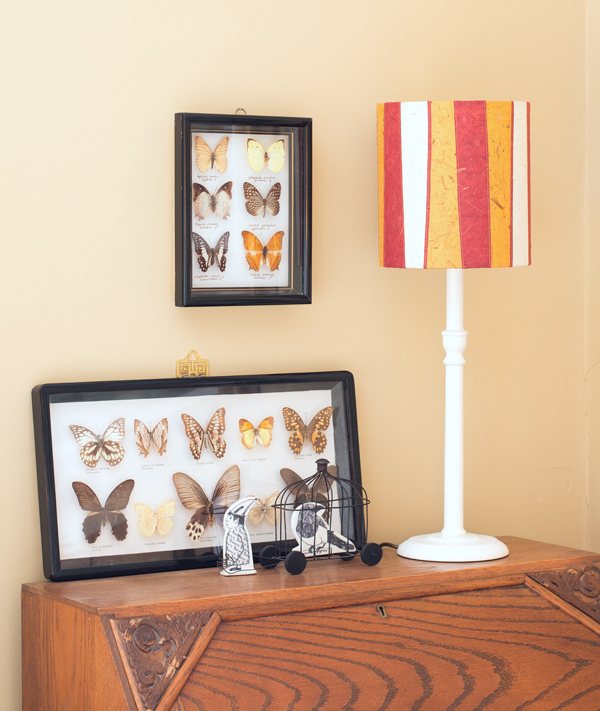 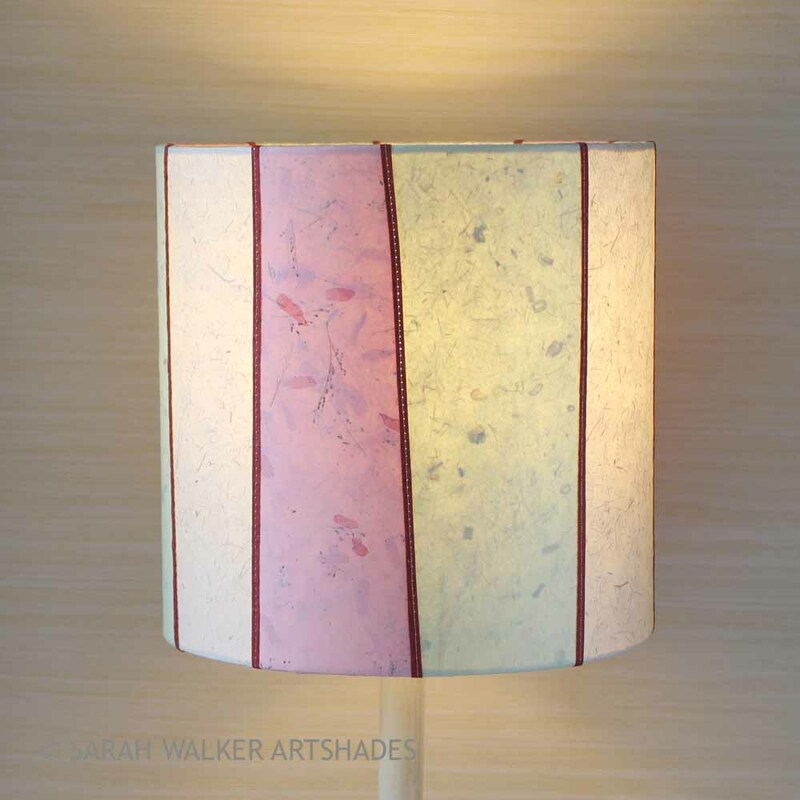 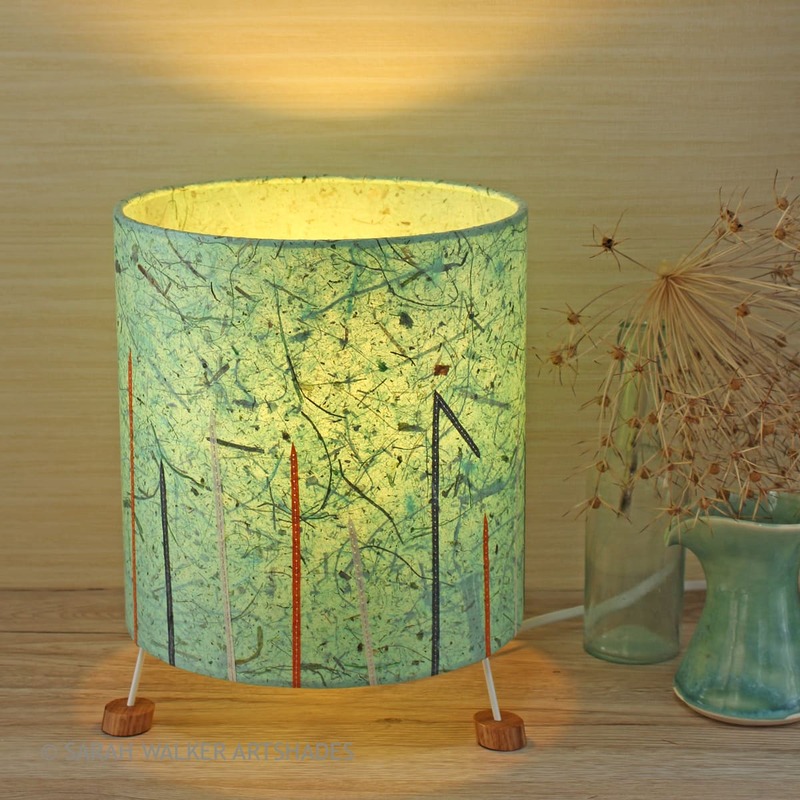 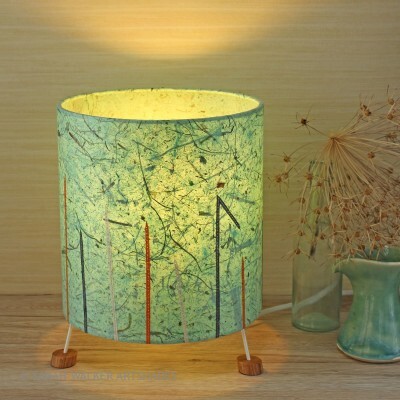 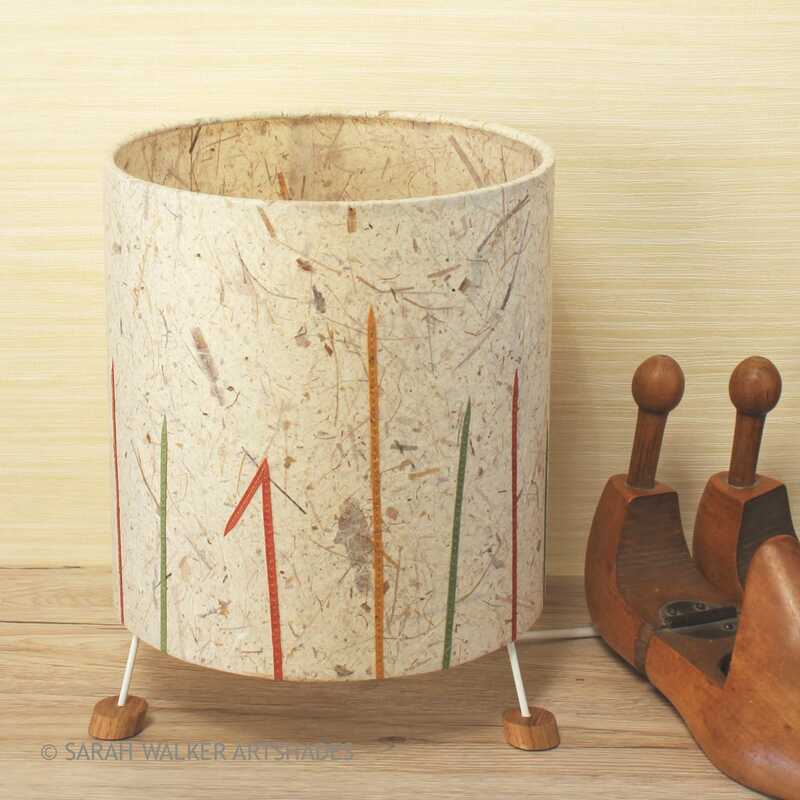 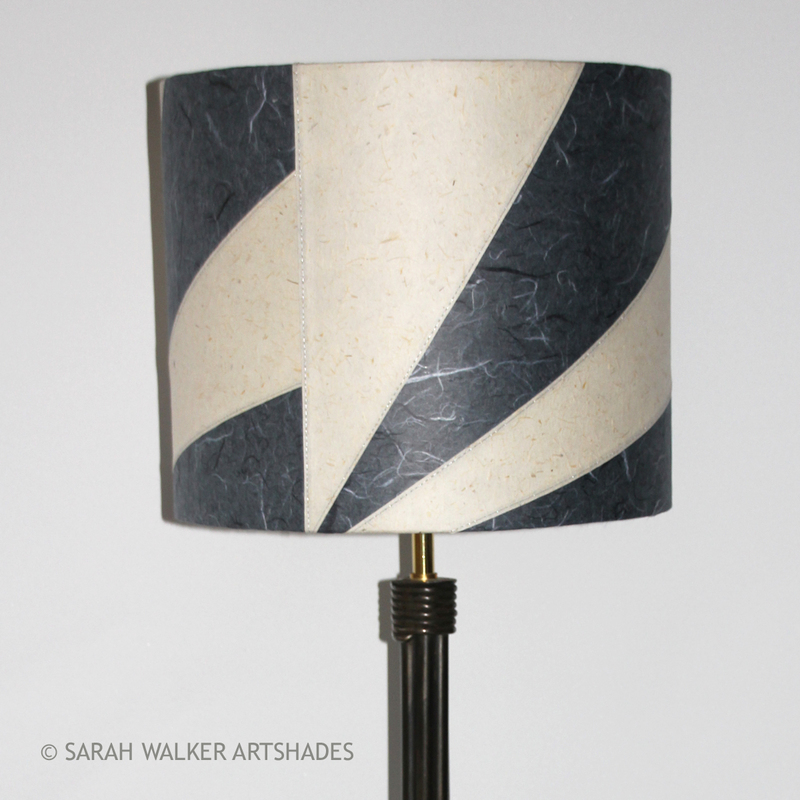 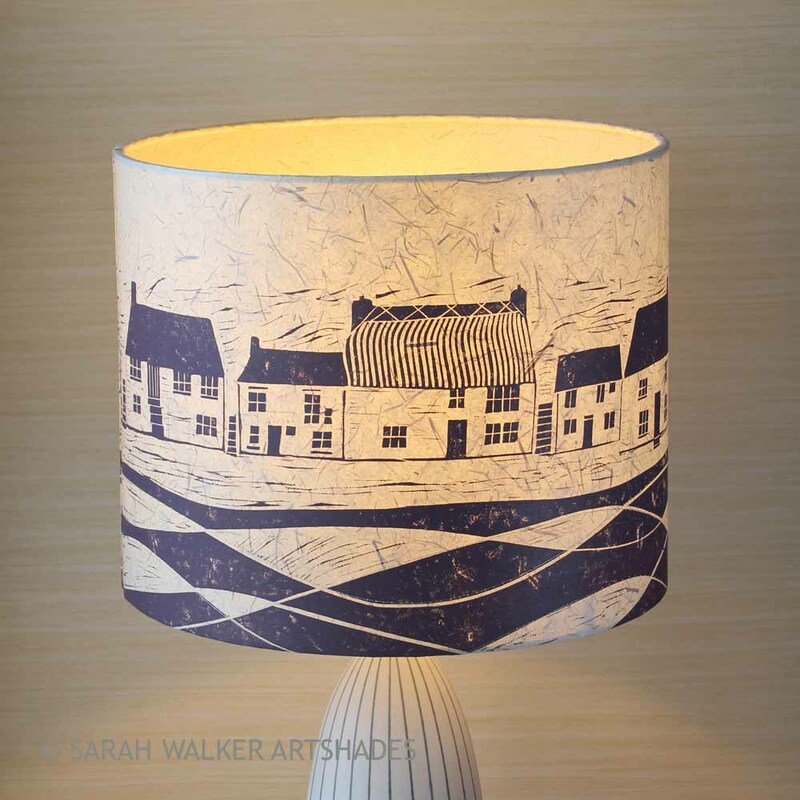 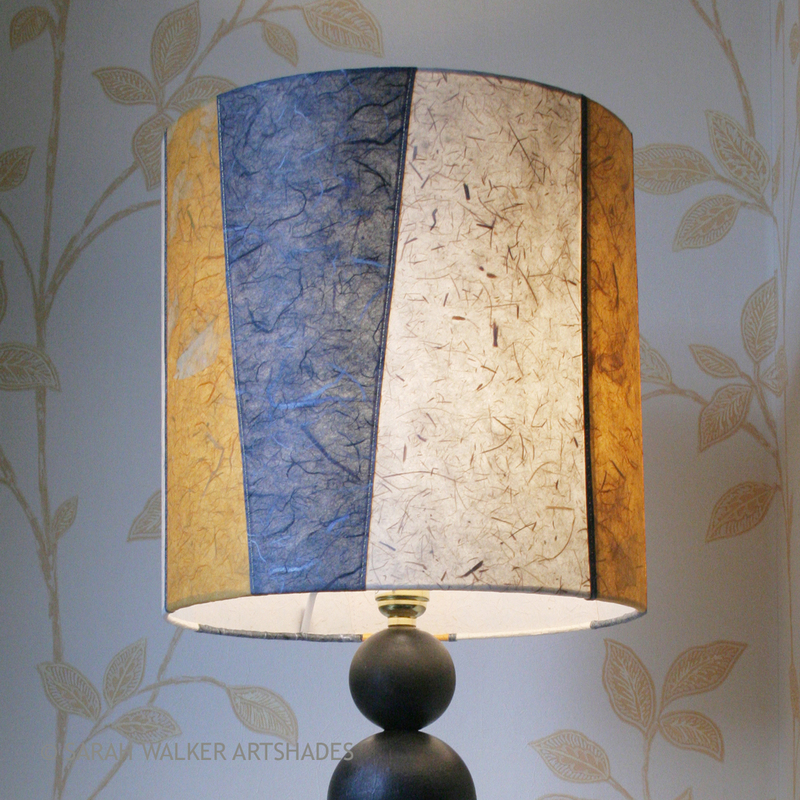 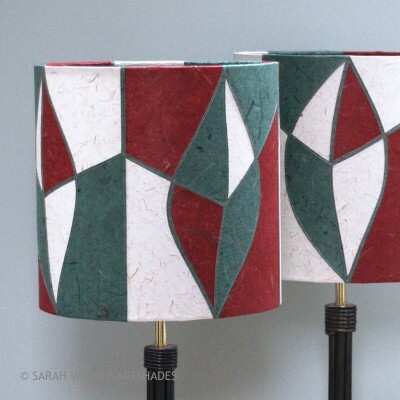 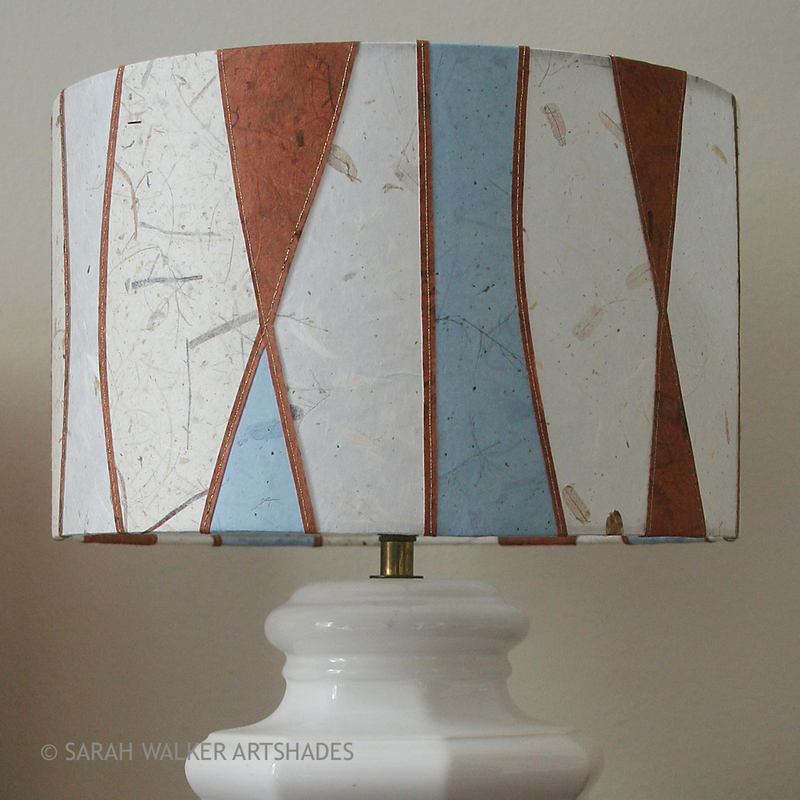 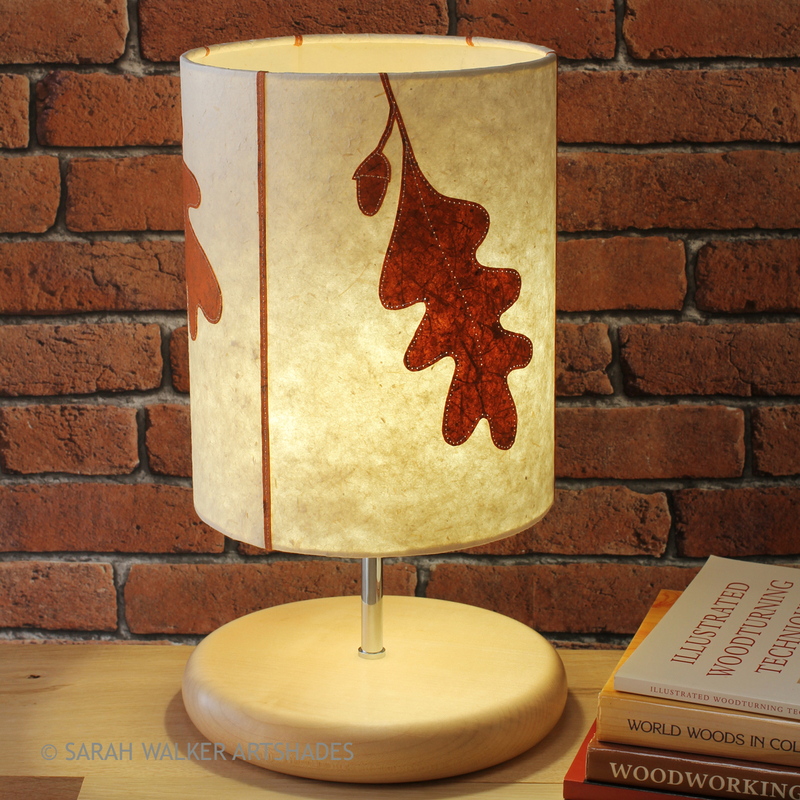 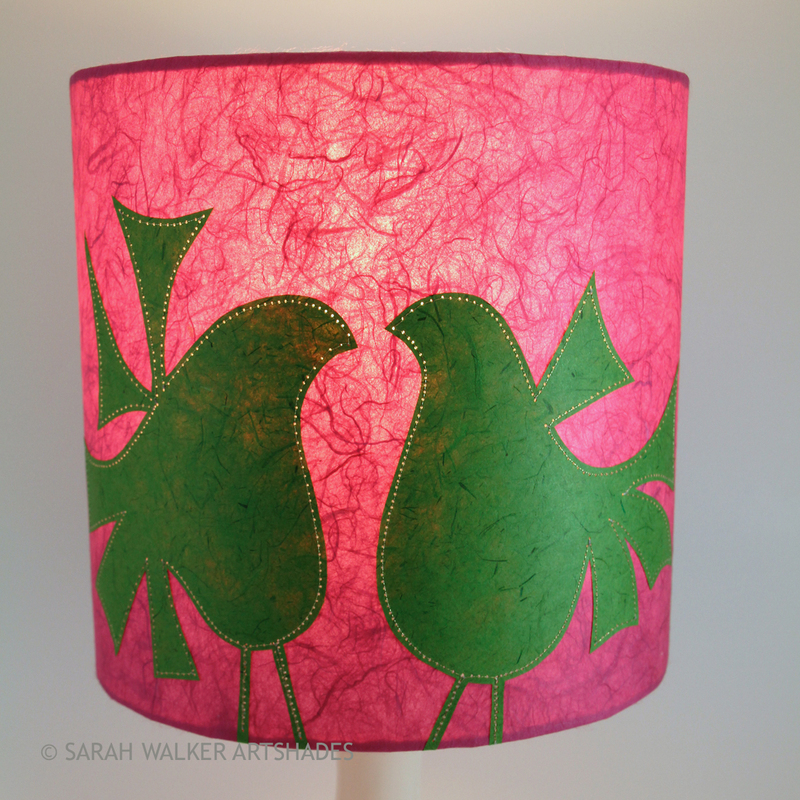 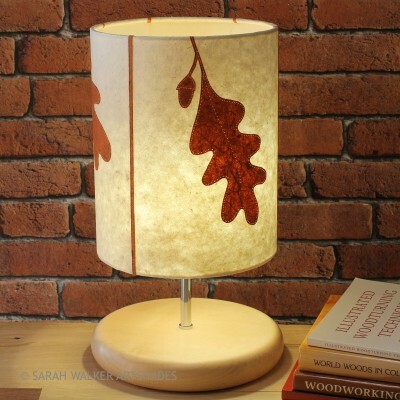 Visit the online Shop to see Table Lamps in stock or commission your own. Your beautiful lamps you made me before Christmas have been greatly admired. They are really special and provide a wonderful focal point.